I'm James Rogers, the Owner of Rogers' Northside Subaru Repair in Boise, ID. Here at Rogers' Northside Subaru Repair, we take care of all your auto repair needs. Since 2004, Rogers' Northside Subaru Repair has serviced virtually every car-related problem, no matter how complicated it is. When you arrive at our shop, we will work with you on how to solve your auto repair issue. 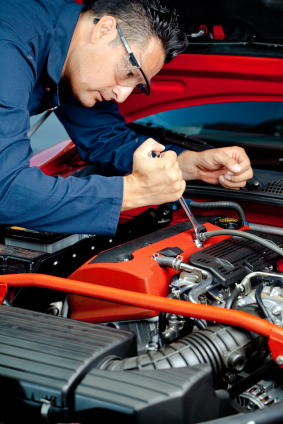 Once arrangements for your vehicle have been made, it is serviced by our team of certified auto repair technicians. They are trained in Subaru Repair, Subaru Service, Subaru Brake Repair, Impreza and WRX repair and Forester and Outback repair and all other aspects of a well equipped auto repair shop. When you pick up your automobile, completed on time of course, the problem will be solved and we will have taken good care of your vehicle. It doesn't matter if you come from Boise and Boise or the surrounding area, our auto repair shop will treat your auto repair problem with the utmost respect. Our website offers an accurate picture of who we are and what we do. More than that, I hope it will serve as an introduction to our business and a personal invitation to experience the difference 15-plus years of servicing the motoring public can provide you, your vehicles and your family. "They are friendly, honest, and always explain what they found.."
"Great service at reasonable prices and what is really important.."
"They are honest and forthright in diagnosis and estimates, and.."
"The availability for an appointment is quick; the service is.."